June 24, 2010  A 20-pound Asian carp has been caught just 6 miles from Lake Michigan -- beyond an electric barrier designed to keep the huge, invasive fish out of the Great Lakes. Now some groups are calling for dire action, saying government efforts at containment have failed. 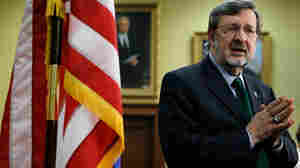 June 22, 2010  Republican Rep. Mark Kirk had been favored over Democratic state Treasurer Alexi Giannoulias. Both candidates have their share of controversy, but recently Giannoulias has turned up the heat on Kirk for exaggerating his military record and other parts of his resume. June 10, 2010  The city of Chicago was celebrating Thursday, after the Blackhawks became National Hockey League champions for the first time since 1961. June 2, 2010  Jury selection begins Thursday in the corruption trial of former Illinois Gov. Rod Blagojevich. He is charged with scheming to use his office to enrich himself. 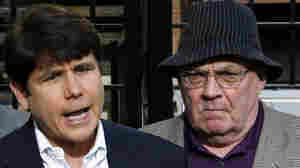 Blagojevich has used much of the last 18 months to proclaim his innocence. Blackhawks Vs. Flyers For The Stanley Cup? Really? May 29, 2010  The final battles for the Holy Grail of hockey, Lord Stanley's Cup, begin tonight in Chicago. The Chicago Blackhawks face the Philadelphia Flyers in Game 1 of the Stanley Cup Finals. Both teams are somewhat unlikely finalists; the Flyers just squeaked into the playoffs and staged an amazing comeback to win in Round 2. In Chicago, the Blackhawks were long thought dead; not only were they among the worst teams in the league a few years ago, with a dwindling fan base, but ESPN ranked them the worst franchise in all of professional sports. May 27, 2010  The spill from the blown-out well in the Gulf of Mexico is seeping into the delicate coastal marshes that serve as critical habitat for birds, mammals and marine wildlife. Officials are considering a range of cleanup options, but many of them may do more harm than good. May 25, 2010  BP is under pressure from the federal government to reduce the amount of a chemical it's using to disperse the oil spewing into the Gulf of Mexico from a blown-out underwater well. BP says if it can find a less toxic alternative that is equally effective and available, it will switch to that product. 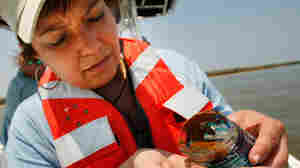 May 24, 2010  Residents of the Gulf Coast are watching oil wash ashore and hurt wildlife. Louisiana Gov. Bobby Jindal says BP and the federal government now are allowing locals to take measures that could prevent some damage. 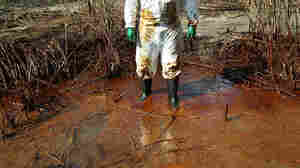 He criticized BP and the federal government for not acting fast enough to prevent oil from reaching his state's shores. May 22, 2010  Thick, brown and rust-colored, sticky oil is washing up on the beaches, marshes and wetlands of some parts of southern Louisiana, threatening wildlife and vital habitat. As oil nears St. Bernard Parish, some fear that even an aggressive strategy of laying containment booms won't protect the marshes. May 20, 2010  Democrat David Obey, who announced his retirement earlier this month, has represented northwestern Wisconsin in the House of Representatives for 40 years. But there are signs his district is changing -- and it might not be as liberal as Obey is. With him out of the race, some say Republicans could pick up the seat in November. May 6, 2010  The changes come after several patients died because of surgical mistakes at one Illinois VA hospital. Every VA hospital will have a surgical complexity rating, and a handful of hospitals will only be allowed to perform what the VA calls "standard" procedures. May 5, 2010  As the hometown of United Airlines, Chicago has had to endure job losses and questions about the airline's financial viability. If the merger with Continental Airlines goes through, Chicago suddenly wins big and becomes home to the largest airline in the world. That means a boost in jobs, prestige and other benefits. How Will Passengers Fare In Latest Airline Merger? May 4, 2010  United Airlines and Continental Airlines have announced plans to merge, creating the world's largest air carrier in terms of passengers. The company will use the United name and the Continental logo. The deal is good for the companies, but it has travelers worried about higher prices. May 3, 2010  United and Continental Airlines on Monday announced they have agreed to merge and create the world's largest carrier by traffic. The new carrier will be called United and will keep the headquarters in Chicago. But the Continental CEO will run the combined carrier. April 29, 2010  The Chicago Board of Education on Wednesday adopted new nutritional standards for school breakfasts and lunches, promising that next year the meals will be tastier and much healthier. The move was spurred, in part, by complaints from students about the quality of food.